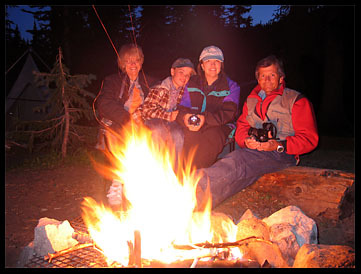 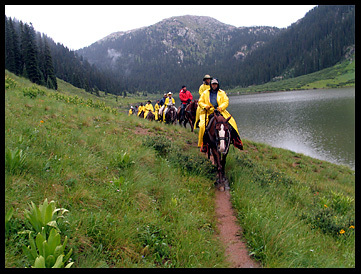 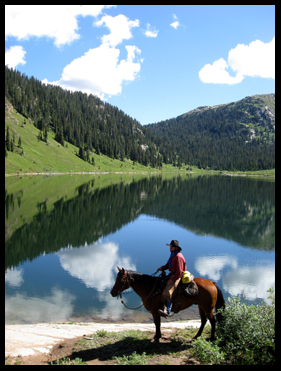 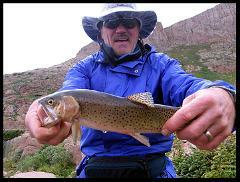 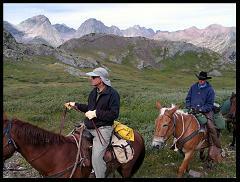 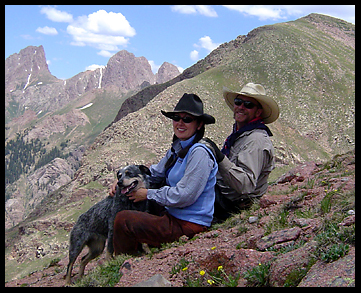 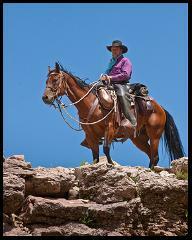 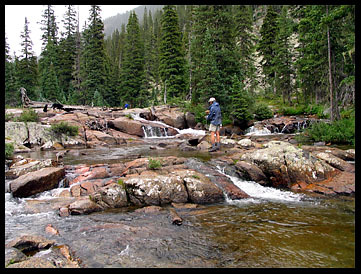 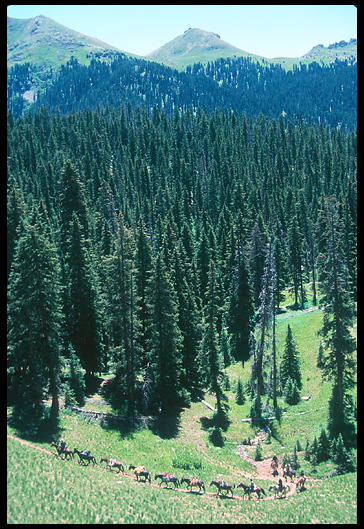 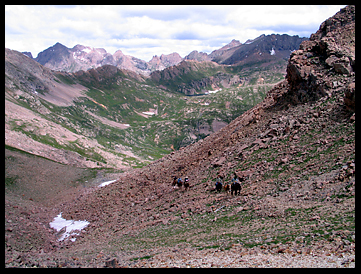 4-Day Pack Trip into the Weminuche Wilderness by horseback. 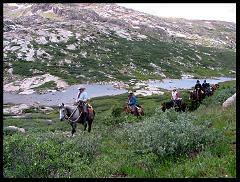 The ride goes into our basecamp at Lower Park. 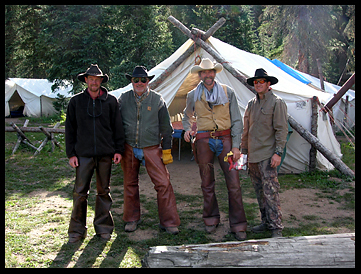 The basecamp is complete with individual tents for one or two guests each with cots provided. 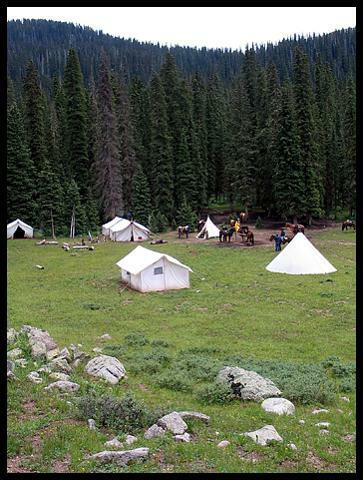 There is a cook tent, a dining tent, a latrine, and a shower.